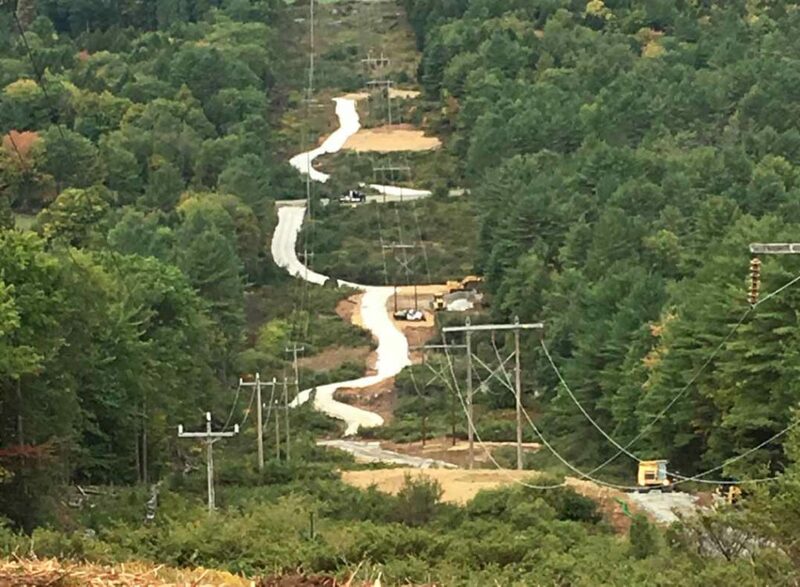 Casella Construction, Inc. (CCI) was contracted to perform earthwork and install erosion control measures along a 5-mile project designed to completely replace the existing 115 KV line and structures from Weathersfield, Vermont to Ascutney, Vermont. 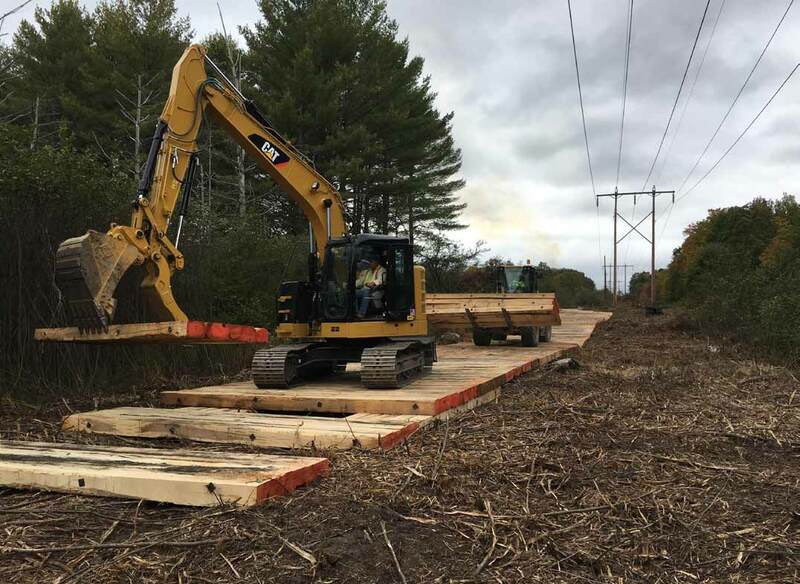 CCI constructed this project with an aggressive schedule consisting of 3 crews working consecutively along the right-of-way. Work included construction of 4-miles of stone access road, installation and removal of 3,200 timber mats, construction of 50 structure pads, removal of 1,200 cy of rock by hydraulic hammer, installation of 63 culverts, installation and maintenance of 7,000 lf of reinforced silt fence and straw wattle, removal of 84 wood structures, and restoration of the entire right-of-way at the completion of the project. 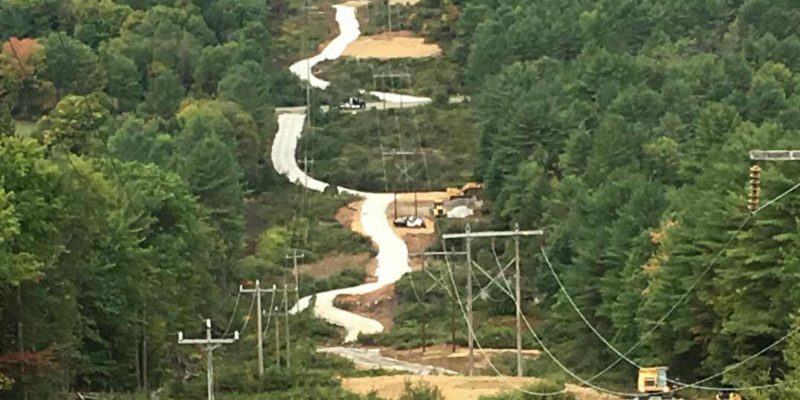 CCI completed all right-of-way access construction and earthwork in 8 weeks, allowing linework to begin significantly ahead of schedule. 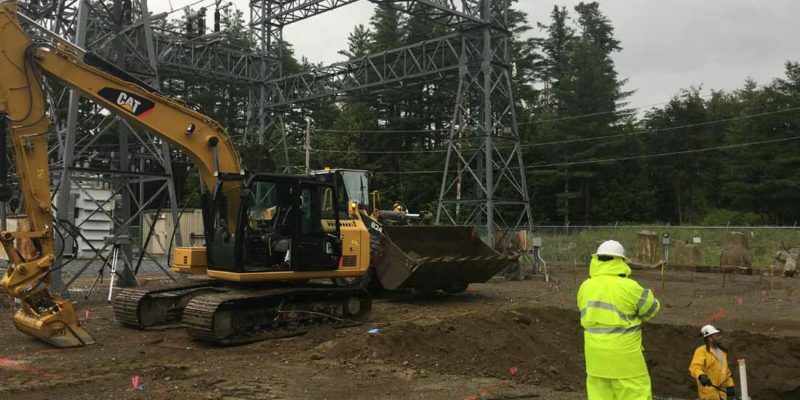 All access construction work was performed while the existing 115 KV line was active. 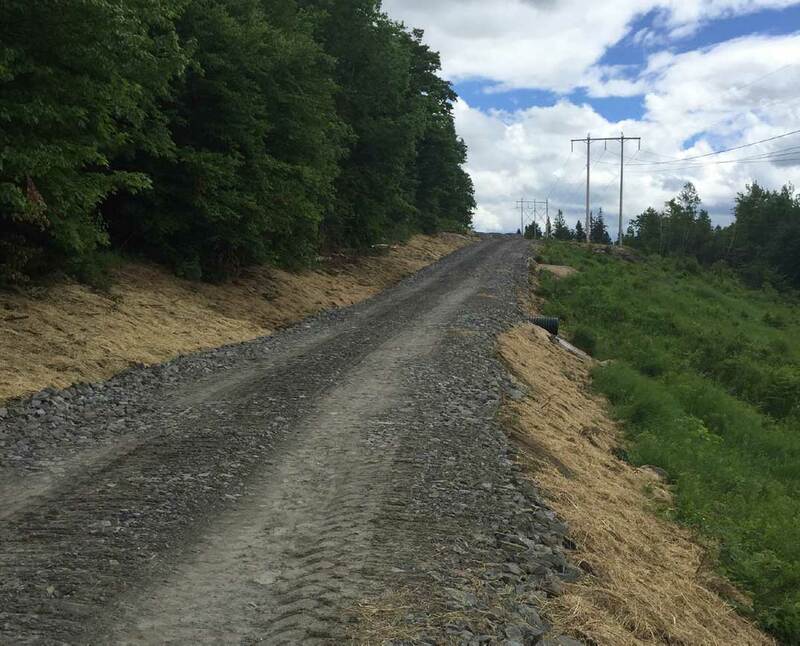 Work under this contract included earthwork and installation of erosion control measures to construct access roads and structure pads along the right-of- way. Work include construction of stone access roads, installation and removal of timber mats, construction of structure pads, removal of rock by hydraulic hammer, installation of culverts, installation and maintenance of reinforced silt fence and straw wattle, removal of wood structures, staging of new utility poles and arms, and restoration of the entire right-of-way at the completion of each individual project. The nature of this work required CCI to be creative and nimble moving quickly from project to project. 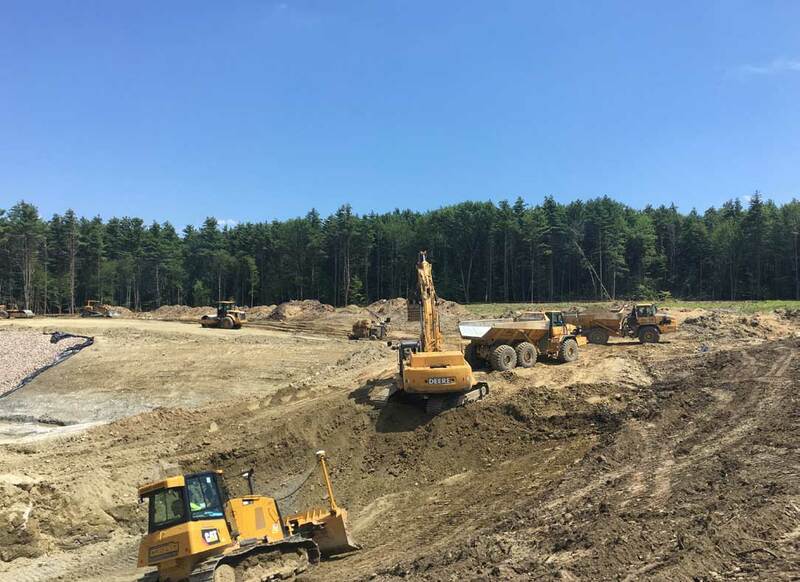 CCI worked closely with the owner, inspectors, and state of Vermont to manage erosion and sediment control and stormwater on this challenging site. 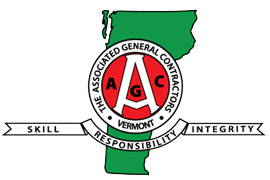 Casella Construction, Inc. (CCI) was contracted to construct the 5-acre storage yard in Williston, Vermont. 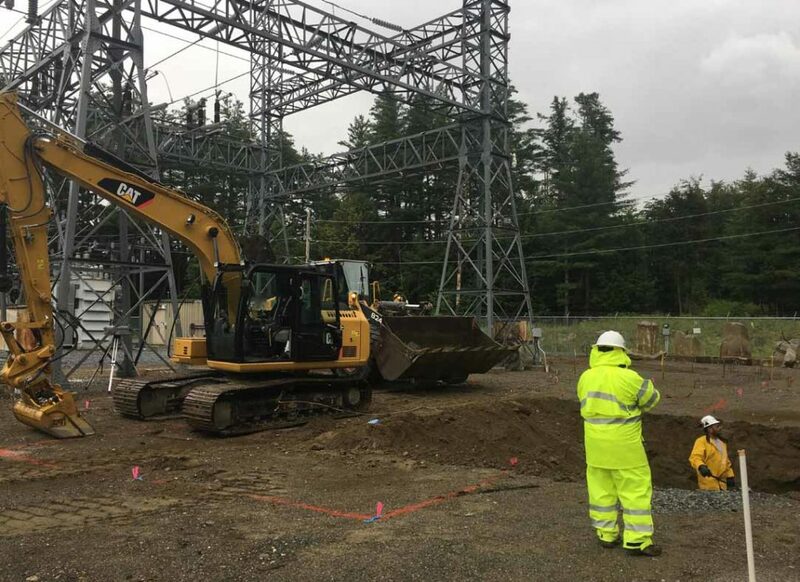 The project was constructed to the highest standards and will be used to store wood and steel utility poles, timber mats, temporary transformers, and other utility equipment. The project began by clear cutting 12 acres. Soil conditions were very poor on this project site, so stumps were ground in place to help stabilize the disturbed areas and limit traveling on the soil. The 30,000 cy of organic soils were stripped, stockpiled, and exported from the site. The 1,400 ft access road was constructed from 28,000 cy of imported granular fill and an aluminum plate arch culvert. The stormwater basin was excavated and soils used to begin construction of the storage yard. In total, 63,000 cy of soil was excavated and 36,000 cy was placed in onsite fills. All cut and fill slopes were armored with more than 10,000 cy of Type I rip rap to allow the moisture in the soil to escape. 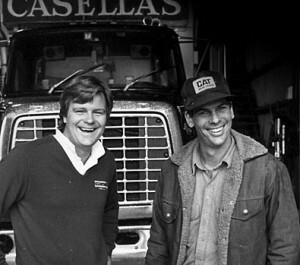 The yard was finished by installing 24,000 cy of crushed gravels, an 8-foot chain link fence with vehicular gate, and constructing three asphalt and wood chip ‘Pole Bunks’ for storage of wood utility poles. This project was exceptionally challenging as a result of the soil conditions and historically wet construction season. 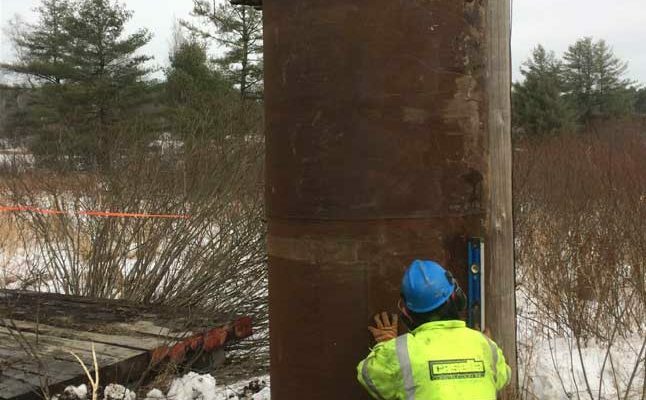 CCI worked closely with the project team to develop creative erosion control and stormwater management solutions that allowed the project schedule to advance forward. Casella Construction, Inc. (CCI) was contracted to perform the PCB remediation within the East Fairfax substation located in East Fairfax, Vermont. 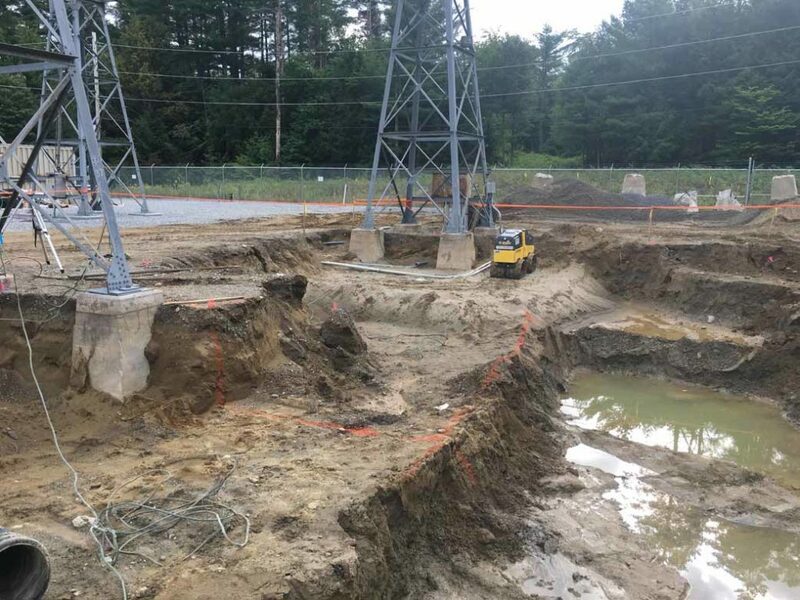 PCB contaminated soils were analyzed, mapped, and excavated as part of a complex excavation and confirmatory sampling plan within the active substation. 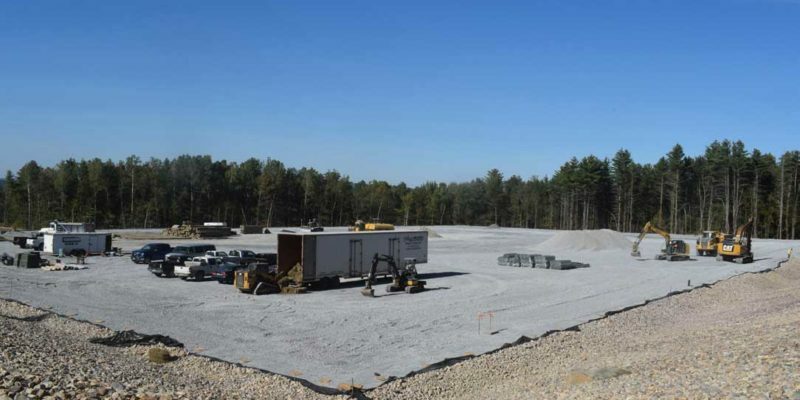 The project consisted of the excavation, transportation, and disposal of 380 cy Non-TSCA and 400 cy TSCA soils. 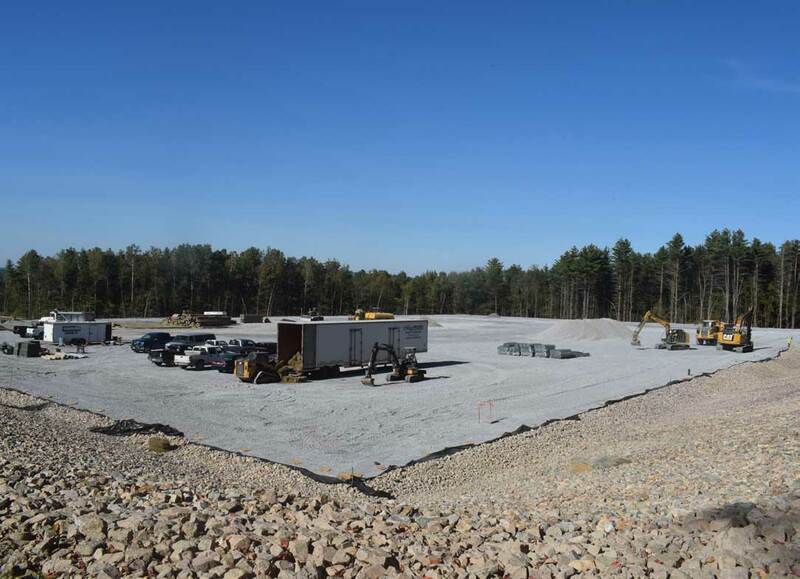 Groundwater from the excavation was pretreated with a 5 micron and 10 micron bag filter before being stored and tested within an onsite Frac Tank. 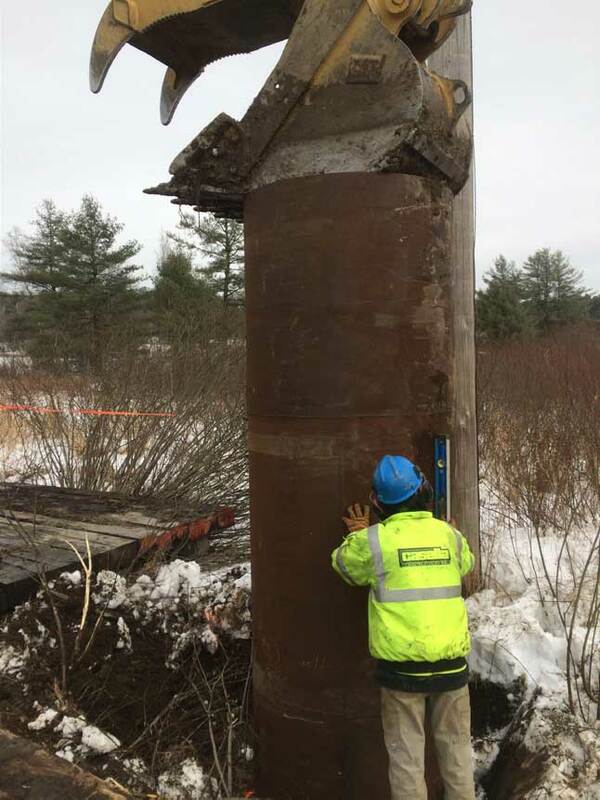 CCI worked with the owner to modify the Corrective Action Plan for the project to allow for onsite water treatment and discharge resulting in a cost savings. The excavation was backfilled with a granular borrow and compacted to project specifications. CCI used a remote-controlled compactor to eliminate the need for any employee to enter the excavation. All disturbed areas were restored at the completion of the project.